Smaller storage seems great and is an advantage, but don’t be careless with it. 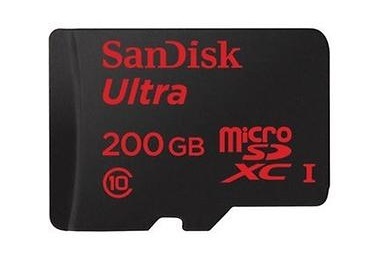 Sandisk’s new 200GB microSD card looks great. Data CD’s used to seem big but you could fit 300 of them on this device that may be smaller than your pinky fingernail! Sounds amazing, right? It is so small that it might be easy to lose. Aside from whether it is your only backup or whether you will need to spend a lot to buy a new one if lost, can you recall what data was on the lost, miniscule device in the first place? The more it holds, the less likely you are to recall the inventory of data you entrusted to it. Something that small makes data piracy that much easier. You employees and visitors can download lots of your company’s data onto their smartphone, key-chain, or whatever device mounts and hides this tiny vault. So, enjoy the fact that something so tiny, with no moving parts, is available. It makes the last generation of stuff that much more affordable to all of us. But please use it wisely. Keep track of it, and perhaps keep an inventory of the directories you write to it. I still use DirPrint as a free utility to print directories of important locations, but there are lots of free directory listing apps out there. When you first see Netflix coming through your SmartTV with just an internet connection, that large monthly cable TV bill starts looking exorbitant. Similarly, using Skype or Google Hangouts makes your phone bills seem a bit ripe for some pruning. With internet access becoming more ubiquitous, paying traditional connection fees (ie – land-line, cable TV, cell phone GSM/CDMA, …) seem like expenses that we might be able to cut out of the equation. Last fall we got rid of our landline itself, but not the function. By getting a free Google Voice account and using an Obihai OBI100 device, we can use our traditional phones to have a free land-line. For less than $40 we bought the Obihai, then used their website to tie it to our Google Voice account. We get free calls for the USA and Canada. Calls to Europe are usually 3 cents/minute. Think “Roku meets your home phone service.” In fact, it supports two Google Voice numbers and they have other models that support more. Guests in our home that are tech-averse just use it like a regular old landline and do not know or need to know the technology behind it. In fact, we could plug the Obihai into an internet connection anywhere and essentially have a home phone that we can travel with. My next cord to cut was the monthly Verizon Wireless smartphone fee of $40 per month. I migrated my cellphone number to Google Voice and then connected my Google Voice to Google Hangouts Dialer. Now my Google Hangouts app rings when you call my cell phone number, so I can talk via Wifi or 4G. That allows me to just have a tablet which I can connect to Verizon Wireless for $10 per month, and the tablet itself was free with my wife’s phone (also free when we renewed her contract). If it works out, I’ll save nearly $400 this year on our family cell phone bill. There are some adjustments to be made since the Hangouts Dialer has a few bugs as a new product and my tablet is only 4G, so my location has a lot to do with where I can receive and make calls. But I’m encouraged that this can work. As I start to see ads for Verizon Voice Over LTE, I know they are aware of this capability and need to be aware that they may close this loophole or tweak their prices over time to make sure they keep rolling in our dough. TV “cord cutters” have to be encouraged by the news at CES 2015 that Sling TV is making progress getting traditional cable networks interested in direct internet streaming. Cutting the cable TV portion of your “cable bill” could save you $1000 annually, but without live sports, it has not been an option for most. I’m sure that Comcast, Time Warner, and Verizon keep pressure on the cable networks like ESPN and local cable sports (Root Sports, MSG, etc) not to sell direct. It looks like Sling has made some strides in getting them interested in direct subscriptions over IP. If ESPN is the “first domino,” then how far behind them are the other networks? It’s not to say that they will be free, but paying by service should yield lower prices in the end and steal some of the monopoly power of the cable TV providers. Then again, that may just force price increases in wired internet fees and even buying your home internet by the GB like wireless has become. At any rate, 2015 is looking promising to transition more of my communications costs to being more selected service-based. I hope it will be a cost advantage versus the bills local monopoly telecom companies have been foisting off on us for decades. I’ve used Airdroid for years to use my desktop or laptop to control my phone. I find the keyboard and mouse much easier than fumbling with my thumbs when I’m at a desk. Airdroid can be a hassle and a possible security concern though. That’s why when I saw a review of the IOGear KeyShair it caught my eye. 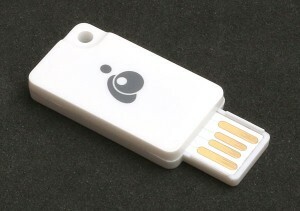 The KeyShair looks like a flashdrive, but it acts like a KVM (a device that lets you use one keyboard, mouse, and video to control multiple computers). You plug the small device into a USB port, run the software, pair the bluetooth with your phone and you can then toggle between your keyboard and mouse controlling your smartphone or your computer. In fact it can flip between four devices if need be. So instead of fumbling with your phone to reply to a text, you’d look over at your phone screen, press a hot-key on your computer and start controlling the phone with your mouse and smoothly enter your reply text at your keyboard. Maybe I’m just showing my age, but if you can fly on the computer and are derailed switching to the mobile device constantly, check out the IOGear KeyShair microsite and see if this might be a solution you appreciate as well.